I came across Illicit Sculpture by scoop.it SL Destinations once again. 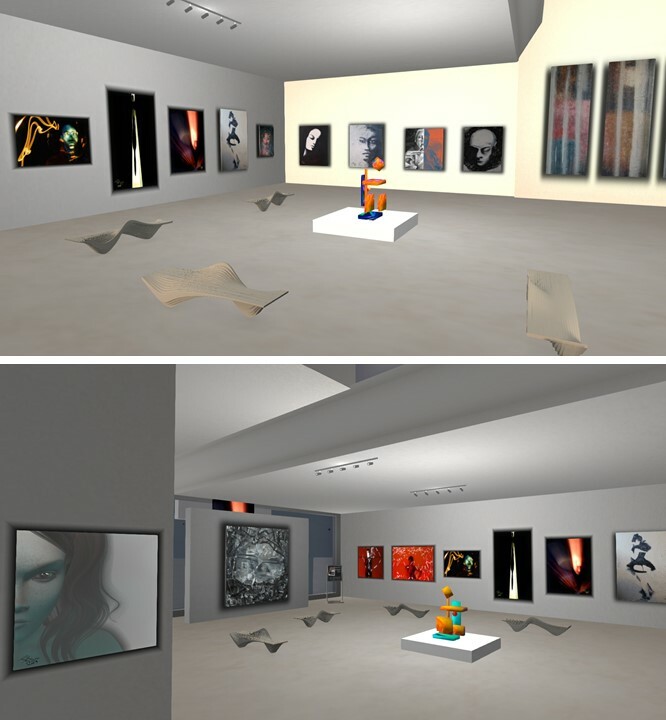 Illicit Sculpture is a new gallery space in Second Life owned by Sweet Bliss (evedelombre), she is also the curator and the first exhibition is about her art. You can grab an information notecard at the entrance of the gallery. 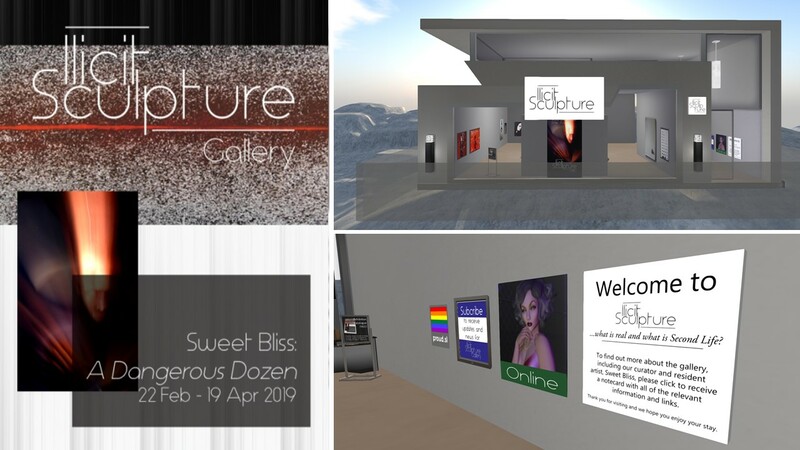 In It you find more about Sweet Bliss and her intentions with the gallery. It touched me, because if shows how important Second Life and it’s possibilities is for some of it’s residents. “I first joined Second Life back in 2007 as Morbid Emor. Since then I have had various incarnations in this wonderful pixel-filled world. Second Life has been a lifeline to me at many points over the past 12 years. 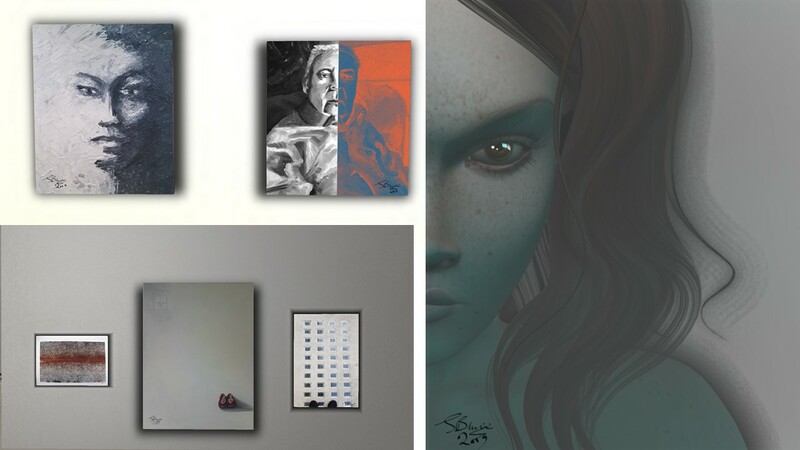 I am disabled, queer and mentally ill and Second Life enables me to be and to experience things in a totally unique way free from real world restrictions. This current endeavour, the Illicit Sculpture Gallery, is purely to enable me and others like me to express ourselves free from the constraints of the “real world”. I would never be in a position to own my own art gallery in real life. Her art is impressing, comprises different styles and techniques, and the texts provided by the catalogue gives each piece a particular meaning. The exhibtion is opened until April 19th. Thank you Sweet for providing the place for the art. Good Luck with the new gallery!